On 4/9, Adobe updated their Acrobat software to fix a security issue. This update has caused Adobe to throw up a security warning window every time distiller is asked to process a document. In our case, this means every time our accountant tries to use Email Earnings Statements, she has to click through the warning window. This is not only inconvient, but GP is locking up on her after every 15-20 she tries to process. 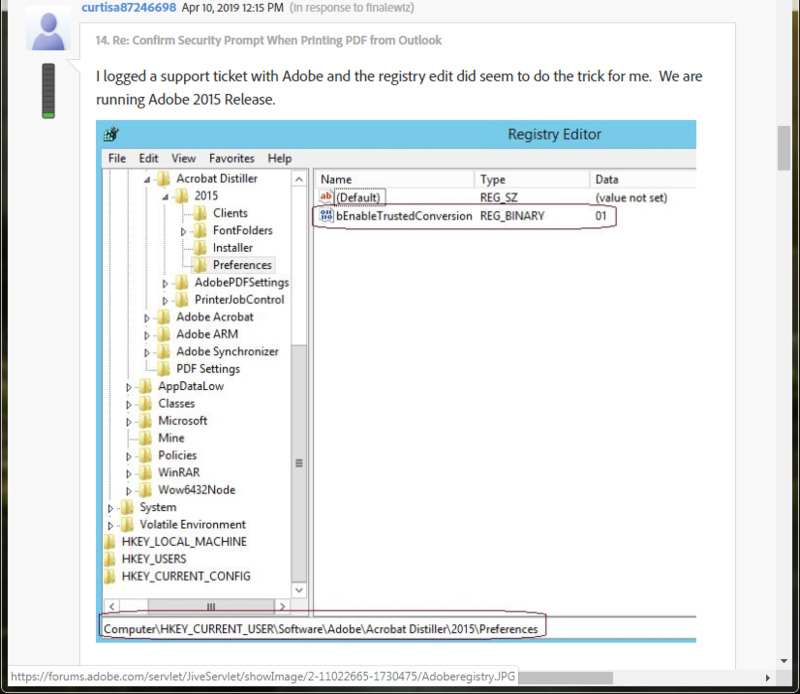 We are using Acrobat 2015 ina Citrix environment and applied to both terminal servers and rebooted both. These setting changes did not fix the issue. I'm guessing we're not alone in using Adobe through GP. I'm wondering if anyone else is/has been struggling with this and has any solution for the problem that I may have missed. We email over 150 statements at month end. I'm guessing this warning will pop up on every one? Ken, I was able to test that successfully. Thanks for finding it!